This flexible cleaning brush reaches where others can’t. Flexible design molds to your hand for comfort and curves in or out as needed to get in and around corners and rounded surfaces. Sturdy bristles withstand hard scrubbing. Ideal for floors, walls, ovens, bathrooms and more! Scrub brush features hole for easy hanging. 7 1/4”L x 2 3/4”W x 1 1/2”H. I ordered 2 and gave one to my son. 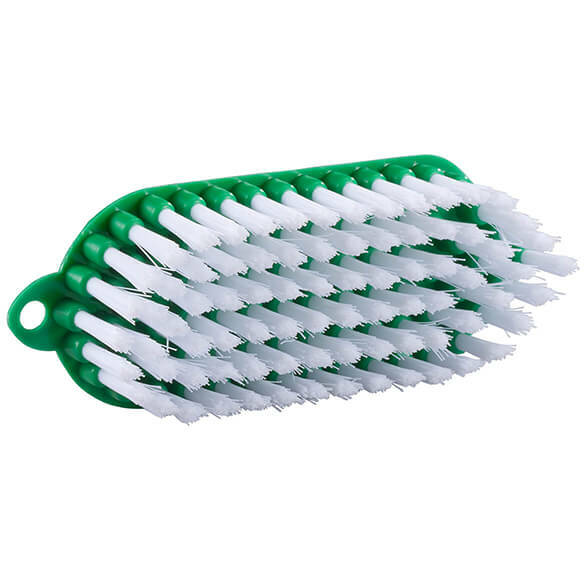 He loves the flexibility of this brush for cleaning and scrubbing rounded curved containers. Price is great, too! 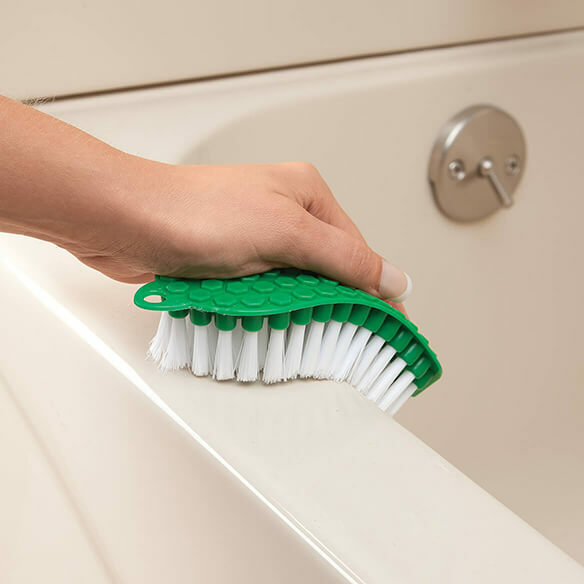 I use it to clean the bath and sinks - love the flexibility! Like I need one more cleaning brush. ;-) I don't have one that will bend and it seems like it will be very useful for use on the tub. Something novel. have spots where this could be useful tp me. To get in tight spots and around facets. I am disabled everything i order makes cleaning easier for me. I ordered this because I think it will clean the tub and shower surround easily. It will help me clean my bathroom and kitchen with less strain. It appears to be a very functional item.